Red Envelope is a wonderful site that offers a plethora of gift ideas, from beautiful jewelry designs to gourmet food. There is something for everyone and the site is very user friendly. My order was put through within a few minutes. I love gift baskets. Birthday gift baskets, get well gift baskets, any occasion gift baskets. They never go out of style and they always come packed so inviting. I knew this is what I had to have. Every place offers something different, but not always healthier options. 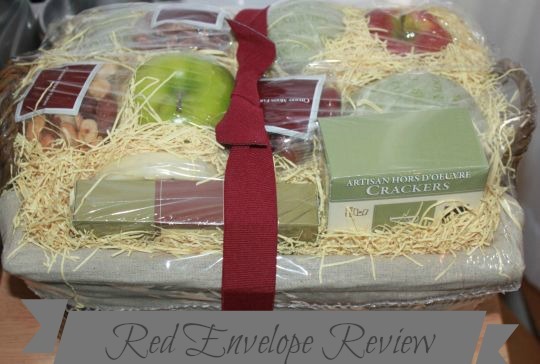 At Red envelope, they have a wide variety of fruit baskets to choose from. So much that is was hard to pick! 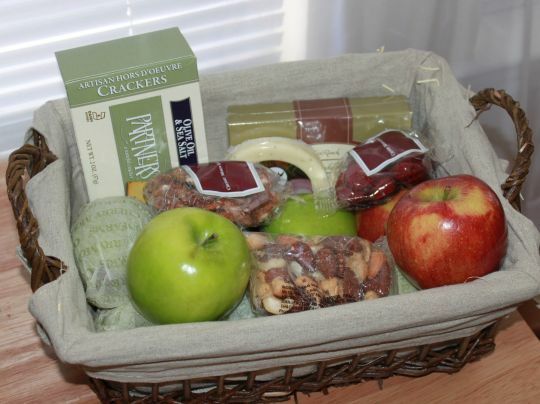 Each basket comes with so many different fruits, nuts, crackers and a few sweets to appease that little sweet tooth. Not too much that it will ruin a healthier way of eating, which is what I am in the process of right now. I definitely won't deny myself a few treats now and then. Otherwise, I know where that will get me in the long run, splurging! Here is everything out of the package sitting pretty on my table. Everything tasted as wonderful as it looks. My favorite were the D'Anjou pears, the herbed cheese with crackers and the pecans. It all screamed very gourmet and nothing like I can get at my local grocer. Very fresh and ripe for the tasting. I love the combination of fruit, nut and cheese together. They were eaten as a Sunday brunch and the rest became great snacks during the day. Take a look at the number of fruits again, NINE! That is a whole lotta fruit love and if you know a fruit fanatic like me who loves treats but is trying to lose weight, you should definitely consider this. It is not just the edibles that are a gift. Did I mention the basket comes lined in a neutral color cloth and ready to use when you are done inhaling your treats? It's a beautiful basket that can be used for bread and beyond. I have it sitting in my kitchen holding a variety of things and it's quite roomy and durable. There's no need to find other locations, you can use it as a pretty center piece. It goes perfect with my decor as well. This gift basket retails for $59.99 and It is definitely worth every penny. I plan to gift my mother for just being a mother and awesome and I know It will come as a fantastic surprise to her. I can't wait for her reaction, as she loves fresh fruit and nuts. If you'd like to learn more about Red Envelope, direct your mouse to their website and you will find everything you need to know. There are also plenty of coupons floating around. Just Google Red Envelope coupons and go to town. Right now, if you order anything $49 or over, your shipping is FREE, without a code! Enjoy! I love receiving gift baskets too! And wow I love everything in the basket!! Gift baskets are GREAT! Always love receiving them...makes you feel like it's your birthday. 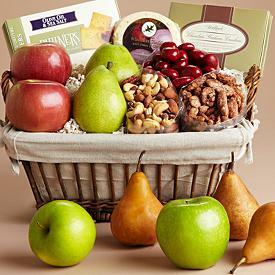 Nice gift basket I love pears and those looked so good! Love this gift basket and its contents. I want it all !!!! That is the most perfect, well rounded basket I've seen in a long time. It has everything I'd want in a basket for myself and loved ones. This looks great! I'd love to sink my teeth into it lol! That look amazing, and is making me hungry! I need to check out the site! It doesn't seem possible to say how much lending should be taking place pay day loans uk under no circumstances in the event you borrow twice in a very short stretch of time.